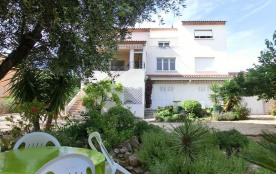 On the first heights of Bandol, Escourche area, property comprising a large house with beautiful sea view, WIFI internet access, large garden with parking guaranteed. 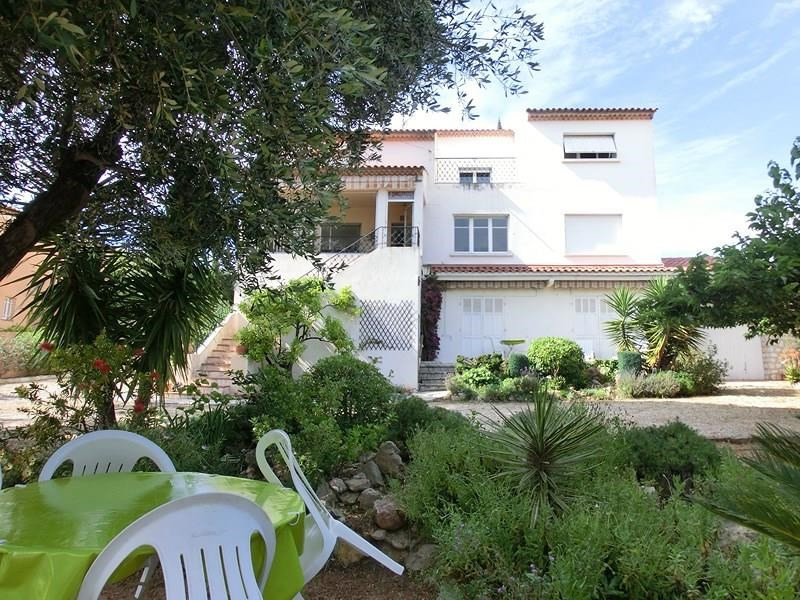 A terrace-veranda with barbecue, sea and garden views, a large living room, a dining room (also sea and garden views), a fully equipped kitchen, 2 bedrooms, a bathroom and an independent toilet. A bedroom, a large bathroom (bath + walk-in shower), an independent toilet, a study, a large room with room use and TV lounge with internet box, a solarium with splendid views sea and gardens. Please note: the ground floor of the villa, except for a laundry room with washing machine and dryer, is closed and unoccupied. 2 terraces (West and South). 1 solarium. Large landscaped garden with parking vehicles; Property secured and closed by electric gate. Fees : 15 € TTC.